Breaking in New Running Shoes Is Easy! It is never easy to select the perfect pair of running shoes, especially if you do not go straight to a running shop to make a purchase. However, you may still make a mistake when buying from a running shop. Sometimes, the shoes that fit well may not be designed for your foot type or your running style. These shoes may work fine when you go for a short run, but you should consider breaking in new running shoes before you go for the big miles. Let's find out how to make your new running shoes become as comfortable as possible. You may find it quite tempting to wear your new pair of running shoes and cover some big miles, but it is better to take some time to break in those shoes first. Here are some tips to help you handle things in a better way. It means that you should walk in your new shoes first and then go to the next level. It is a good idea to wear your new kicks to work or around town. If you cannot do it, simply consider wearing them around the house as much as possible. You may consider changing those shoes if you notice any pain while walking. While breaking in new running shoes enhances the comfort level, do not expect shoes that cause any pain to feel better with time. Great running shoes fit perfectly right from the word go. The break in process is never going to change your ill-fitting shoes, and you have to understand it. Therefore, it is better to go to a specialty running shoe store to buy your new kicks because their personnel can help make a right choice considering your running motion, foot composition, and other running patterns. It means that even when you have confirmed that your new kicks are quite comfortable you may still want to include them into your running routine gradually. 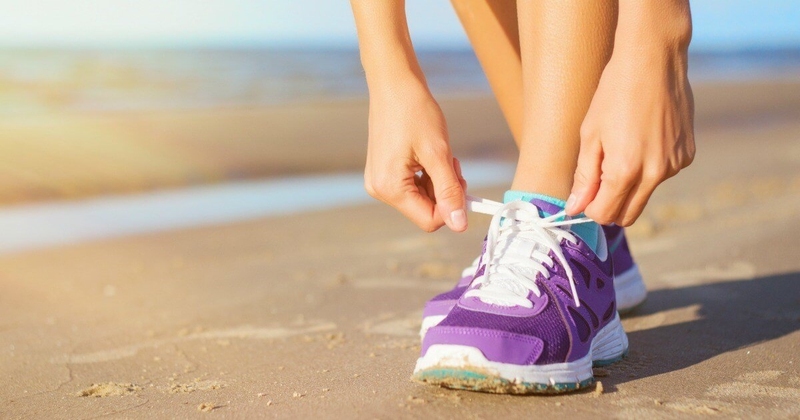 If you run six days a week, wear your new shoes once or twice only, especially for the first couple of weeks. Keep adding another day until you start wearing your new kicks for every run. You may have to buy new shoes if you notice any problem during this phasing in process. It is important to change your shoes when you notice problems while breaking in new running shoes. However, you should take breaking in notes when you start using your new shoes. Those notes will help you make a better purchase when you go back to the store. The shoe representative would never be in a position to make a better recommendation just when you say that your shoes jut did not feel right. Tell them the exact problem so they could suggest something perfect. It is important to consider how comfortable your new running shoes are, but you also need to pay attention to how the rest of your body feels after you start using your new kicks. You may find your shoes comfortable but you may notice your back has started hurting more due to no apparent reason. Similarly, you may notice some pain in your knees when you start running in shoes that are not perfect for you. Always go to a running specialty store and work with experts to select the right pair of running shoes. Let the salesperson have a closer look at your foot first – this helps them suggest a pair that is appropriate for your foot shape and arch. It is hard to select the right running shoes without determining your foot type first. Ask the salesperson to measure your foot carefully. Do not just tell them the number you have been wearing for years. It is possible for your foot length to change over time – it can happen during pregnancy. Ideally, your running shoes should be about a size bigger than your regular shoe size. That helps accommodate your feet when they swell during a run. Ask the salesperson to analyze your running style before making any suggestions. You may have to run on a treadmill to help them determine your running style – this shows if your foot rolls outward or inward during a run. Be sure to provide important info to the salesperson. Tell them what type of running you do, what terrains you choose, how often you run, and if you are training for an event. Be sure to run in the shoes the salesperson has recommended after using all the info you have provided. Do not just walk a few steps to judge how those shoes really feel. You have to run to ensure they fit well and function perfectly. What's more, it is a good idea to shop from stores that have liberal exchange policies. Some stores help you select the right pair of shoes and then let you try it for a week or so. They do not mind exchanging those shoes if you develop foot pain or blisters. That is why breaking in new running shoes makes great sense. And keep in mind that even the finest running shoes should be replaced every 400 miles. Server responsed at: 04/19/2019 4:24 a.m.